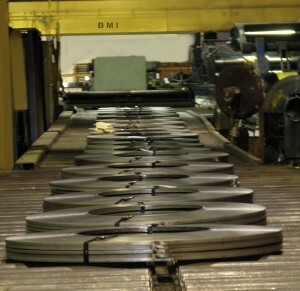 Processing & Logistics :: BUCKEYE METALS INDUSTRIES, INC.
We process steel (.015 through .500 thick) to your unique specifications. 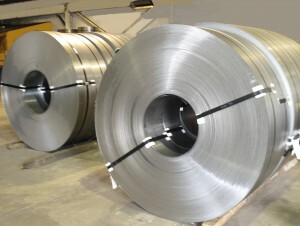 We can provide material as cut to length, slit, tempered, and sheared to ordered dimensions. 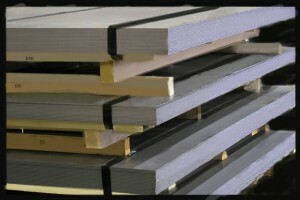 We provide material certifications as required by our customers and industry standards. We employ a vast array of processing capabilities. Our dedication to providing excellent service to our customers doesn’t stop with steel. The proven formula that Buckeye Metals uses to provide our customers with one stop shopping starts with sourcing the steel to our customers specifications and processing it at a logical and economic facility that meets or exceeds the requirements that our customers need. The final step in the formula that we use is providing shipping throughout the United States and Canada. Buckeye has an extensive group of carriers and brokers that are used to provide on time deliveries to our valued customers.